We know that the family enjoyed the proceeds of Peter’s 13 acre San Francisco investment (see SF De Boom Tract page) for at least six decades (and perhaps longer if we were to check the title records.) Emma saved the deeds of sale for six transactions. Note that the photo files below are large and may take significant time to load. You may click on an individual file or ‘show as slideshow’ to see the whole group. 1912 Deed for Block 7 lot. This is a mortgage dated July 15, 1912 from Edward Swift et. al. 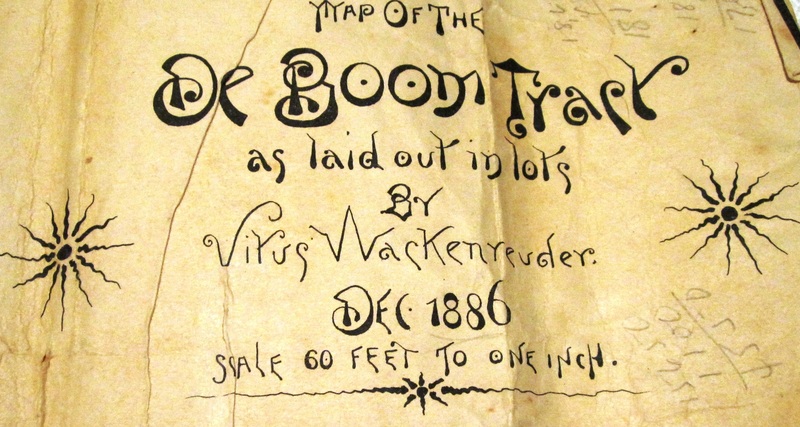 to William C. Lowe for a lot in Block 7 of the De Boom track for $1750 at 10% interest. 1912 Deed For 419 Bosworth St. This sale is dated August 19, 1912. 1912 Deed for 407 Bosworth St. This sale is dated August 26, 1912 for $3250. On the back of the outside cover is written a note indicating that an invoice for three years’ worth of insurance was paid on 4/3/15 for $18.00. 1913 Deed for Block 7 lot. This is a deed of sale (“Indenture) dated August 22, 1913 between William J. De Boom (RC’s executor and son) and Edward Swift and James Hefferman for a portion of Block 7. 1922 Block 7, Lot 3. Caroline (RC’s widow) sold this lot on August 1, 1922 for $3500 to Peter and Florentine Carcot. Handwritten payment records are on the back. 1922 Block 7, Lot 3 draft. This appears to be a draft with a more detailed payment log. The last two scans overlap, with one capturing the top line, the other the last.